In the Lisbon Treaty, sports recently got its own article (§165), but according to MEP Morten Løkkegaard the EU countries generally consider match-fixing a national matter. Therefore, it is difficult for the countries to reach an agreement on how to fight it, especially since some states rely heavily on online sports-gambling, eg Malta. In recent years, Europol has had success in uncovering match-fixing scandals, and has gained support in the EU for its endeavours. But, a steady stream of success is important to keep up the political momentum, as Morten Løkkegaard explains. “The fight against match-fixing is on the right track politically, but failure is still an option”. According to Chris Rasmussen of the World Lottery Association approximately 10-15 % of match-fixing is actually discovered and rapported, but the remainder still fly under the radar. The need to fight match-fixing stems from the sobering realization that it is a billion dollar business, and the gains wind up in the pockets of organized crime. Common EU-legislature would go a long way in the prevention of match-fixing internationally. But when the European Commission suggested a collaborative effort to create a European center against match-fixing, it fell trough because 1 of 27 states did not agree. And as Morten Løkkegaard explains: “There can be no legislation without agreement”. ”I should have thrown away my football boots and done somthing else,” says Mario Cizmek, when he reflects on the time when he tried to solve his money problems by taking bribes. The former Croatia Sesvete player couldn’t quite describe the feeling he had when he played the first fixed game. Eight of the players on his team were a part of the scam that handed the victory to the opponents. Mario Cizmek explains that the players simply gave 70 percent instead of the 100 that everyone expects a professional footballer to do. The match-fixing scandal involved 24 players from eight different teams. He says that everyone knew who was a part of the deal. The games had no significance for his team because they had already been before the started to lose on purpose. That made the team an easy target for the match fixers because there was nothing suspicious about a bottom table team losing matches. 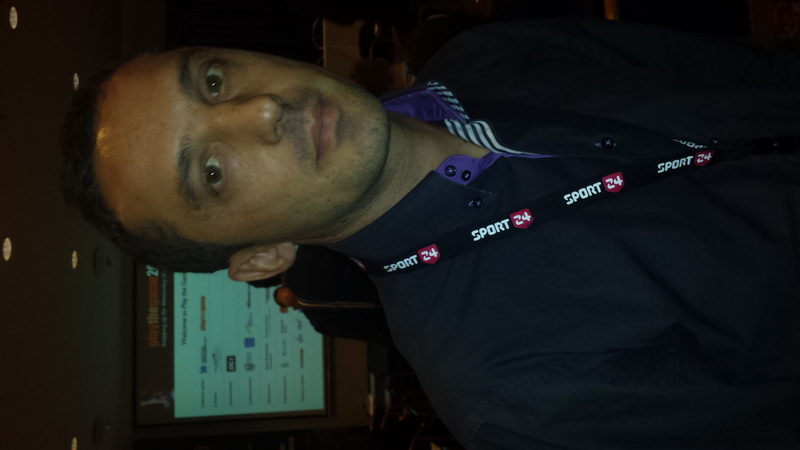 Mario Cizmek did not come to speak at Play the Game in Aarhus because he wants people to feel sorry for him. ”I know, what I have done. I just want to warn young footballers not to do what I did”. He already spent 47 days in jail after his arrest, and now he is facing up to 10 months behind bars. Are There More Lance Armstrongs Out There? Monday afternoon some prominent speakers will discuss the fight against doping. Among them are former WADA president Richard Pound and the attorney who led the case against Lance Armstong. In the blog below, you will finde the most important views and statements throughout the session. Play the Game is now officially opened. A variety of people took the stage during the opening session, and many highlighted the need for an open and honest debate about the conditions of sport worldwide. “If we want to protect the values and the potential of sport, sport needs to be subject of a critical debate on and off the field,” PtG-chairman Johs. Poulsen stated. Another speaker was Play the Games international director Jens Sejer Andersen. He as well addressed the need for more transparency in sport. “There is a worldwide demand for better governance in sport,” Sejer Andersen said and then referred to the fact that many leaders of international sports organisation hold their position for years. Other speakers at the opening session was Danish MEP Morten Løkkegaard, alderman Marc Perera Christensen and Belgian PhD Student Arnout Geeraert. Løkkegaard has called for a European center for the fight against match fixing, which was turned down in Bruxelles. On the same note, field work from Arnout Geeraert showed that there is a huge need for better governance in world sport. For instance, in only three of 18 organisations the movement of funds was transparent. VIDEO: Will the Stormy Weather Affect the Conference? At the first day of Play the Game the storm Judas is moving across northern Europe. It has already caused traffic problems in the United Kingdom, and it is currently making landfall in Denmark. We talked to Jens Sejer Andersen, the international director of Play the Game, about the storms impacts on the conference. Will all the participants arrive in time? 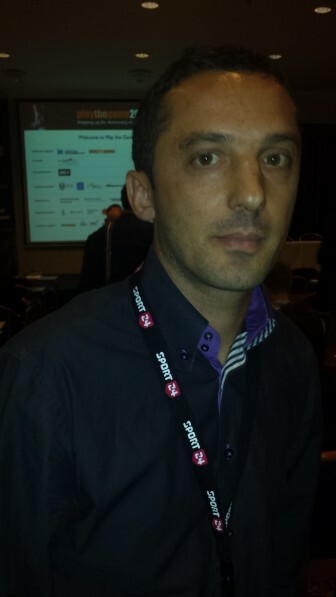 During the opening session of Play the Game, Mario Cizmek spoke about his past with match-fixing. Exclusively, he has decided to share his experiences with match-fixing. Among other topics, Mario Cimzek talked about how he felt pushed into match-fixing for which he received 10 months in prison. “I and other players had not received regular salary for 14 months. We weren’t talking about football, but how we were gonna survive,” Mario Cimzek said during his presentation. 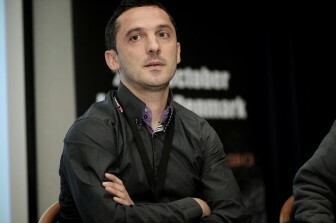 In the live-blog below, you can read about the speach and the following Q&A-session where Mario Cimzek. Play the Game 2013 is just around the corner, and before the big conference in Aarhus, Denmark kicks off, the International Director for Play the Game, Jens Sejer Andersen, is very excited about this years conference. 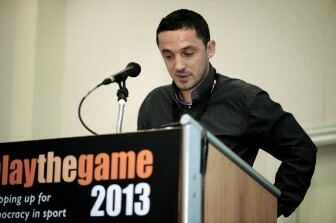 – This conference will outdo all the previous Play the Game conferences. This year the largest number of different experts and representatives from various unions and organisations, we have ever seen at a Play the Game conference, says Jens Sejer Andersen. This is the eighth biannual conference and Jens Sejer Andersen is thrilled about the development Play the Game has achieved throughout these years. – You just need to take a look at how big the issue on match fixing has become the last couple of years. I believe Play the Game is a big part of that along with a whole range of other huge topics such as doping and corruption. This year will have the largest attendance of participants with just around 350 people joining the conference through the four days in Aarhus. 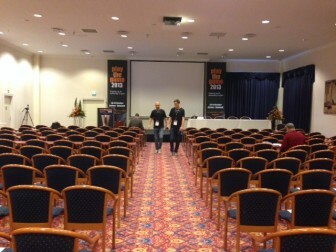 – It’s very positive that the conference is growing each year. Now the sporting world know who we are and what we are trying to do. That gives us a whole new role in the debates to promote democracy, transparency and the freedom of expression, says Jens Sejer Andersen. Play the Game 2013 will end Thursday evening. The biggest doping scandal for years came to light when former bike riders from the US Postal team admitted the use of doping. Behind the case stood the American anti doping agency USADA. The lead attorney in the investigation was William Bock who will be speaking at Play The Game 2013. Since 2007, Bock has been General Counsel with USADA. Among other duties, he is also a member of the Doping Panel in the international swimming federation, FINA. 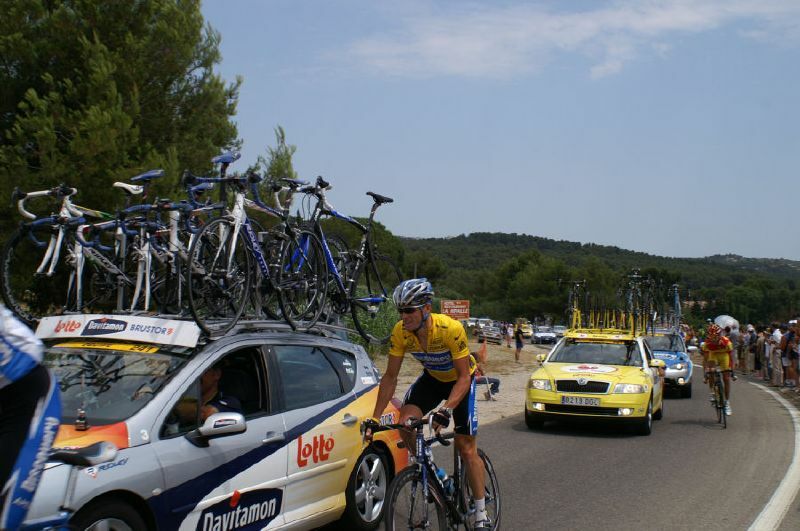 The investigation meant that Lance Armstrong was stripped of all his seven Tour de France wins. The American athlete later admitted to have used doping during all wins. In an interview with Crain’s Detroit Business, William Bock mentioned an interview of the bike rider David Zabriskie during the investigation as extraordinary remarkable. “He (Zabriskie) talked about the first time he used (performance-enhancing drugs) and that he went back to his room and cried,” William Bock said. Alive and well in Hawaii. First tweet from Armstrong after losing his Tour de France titles. In the interview, William Bock outlines this as an event during the investigation he will never forget. Among other prominent cases in William Bock’s career is the one against the former Olympic gold medalist in 100 meters, Justin Gatlin. He received a four year ban from athletics. William Bock will be speaking at Play the Game on Monday at about 4 PM. Once number five in the world, snooker champion Stephen Lee now faces 12 years of suspension for match-fixing. And his case is not the first of its kind. Match-fixing does not only occur in dominant sports like football and volleyball. Once considered a gentleman’s sport, snooker now faces big problems with match-fixing, and former champion Stephen Lee’s conviction is just the latest case to surface. The problems are escalatingStephen Lee was once the fifth best snooker player in the world, and now he faces a 12 year ban from the sport, as well as a fine of 40,000 Pounds. When then world number one John Higgins in 2010 was convicted of ‘giving the impression he would breach betting rules, and of failing to report the approach’, he was only sentenced to a six month ban. He returned to be one of the players Stephen Lee was convicted of fixing a match against. Stephen Lee won’t be able to return to the sport before 2024, when he will be 50 years of age. The first known case of a player being investigated for matchfixing occurred in 1995, and another case did not surface until 2005. Between 2005 and 2013, 14 different players were investigated for matchfixing on 23 different counts. The rules were changed in 2012 in order to accommodate the changing climate of the sport, but since all of Stephen Lee’s offences happened before 2012, he was sentenced in accordance with the old rules. Had he been sentenced by the new rules, he would most likely have faced a lifetime ban from the sport.